Prenatal Massage is a customized relaxation massage with specific techniques for pregnancy that aims to relax tense muscles, ease sore spots, improve circulation and mobility, release stress, and just make you feel amazing while growing a little life inside. We have additional pillows and cushions to support you and your growing little one while at the clinic to ensure your greatest comfort possible. Bamboo Massage is invigorating yet soothing using bamboo to help your muscles relax and rejuvenate. The bamboo replaces the therapist’s hands, and it is used to give a deep, firm massage. The cane is held by the therapist and rolled over the muscle with the same strokes they would use with their hands. The muscle is then kneaded, which assists in the release of tension and easing of knots. Tapping of the muscle may also be used during the massage to encourage circulation. Note: Synthetic bamboo is typically used as natural tends to crack in Alberta’s dry air. 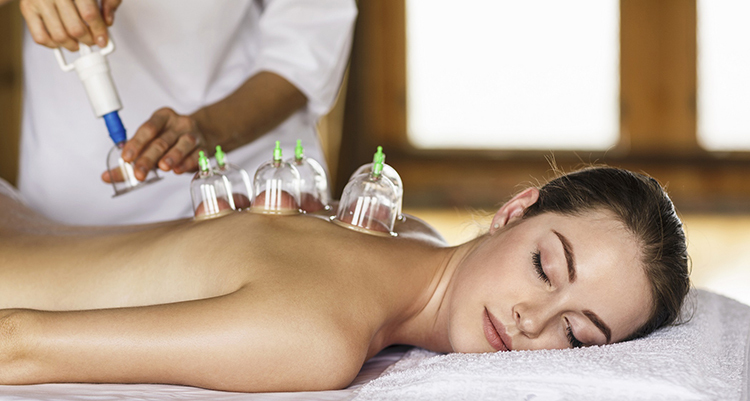 Dry Cupping is a mayofascial release using suction cups to release the tissues that have fused together. We use it in conjunction with traditional massage. Don’t worry, you won’t look like you were attacked by an octopus when we’re done as we do not leave the cups on long enough to leave a mark. Manual Lymphatic Drainage Massage is a highly specialized and very gentle massage used to increase lymph flow and encourage natural drainage of the lymph. Safe and effective treatment for lymphedema and swollen limbs caused by diabetes, MS, fibromyalgia, sports injuries, surgeries, and others. 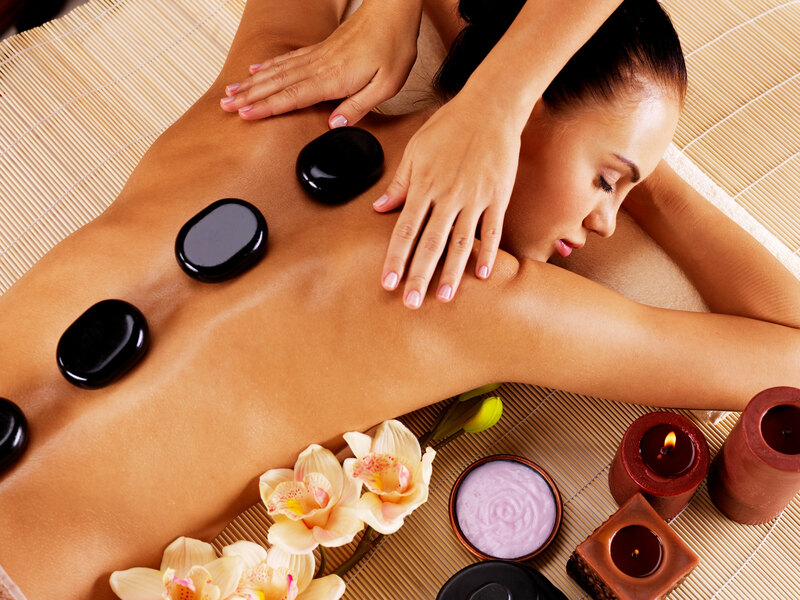 Hot Stone Massage is a therapeutic yet relaxing massage where hot basalt stones are strategically placed on the body and also moved about to achieve deep relaxation of the muscles. Note: Not suitable for all individuals as some health conditions may be aggravated by the heat. Rapid treatment sessions may be uncomfortable during the movement phase of the treatment. This occurs as the neurological system is being stimulated to restore normal function and is normal.